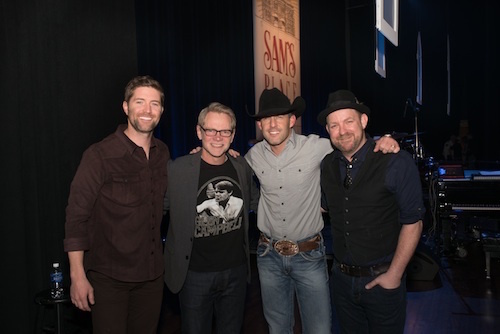 Aaron Watson recently joined Josh Turner, Steven Curtis Chapman and Kristian Bush for ”Sams Place – Music for the Spirit” at Nashville’s historic Ryman Auditorium. 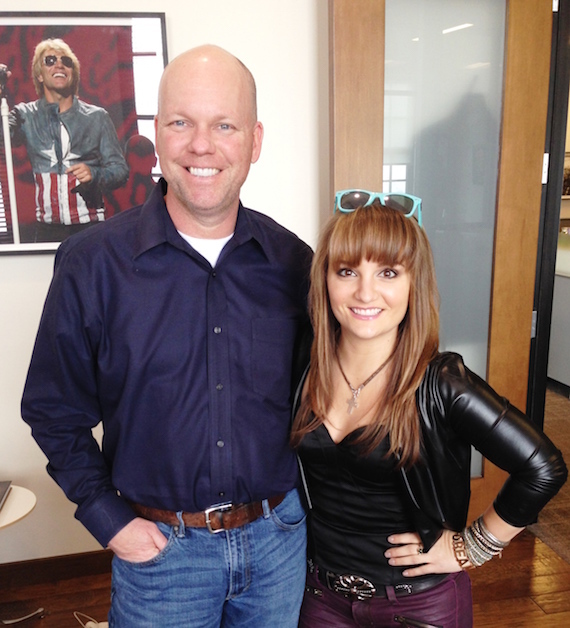 Momentum Label Group/in2une artist Rachele Lynae dropped by to promote her latest single, “Whole Lotta Nothin'” with iHeartMedia’s EVP and GM National Programming, Clay Hunnicutt. 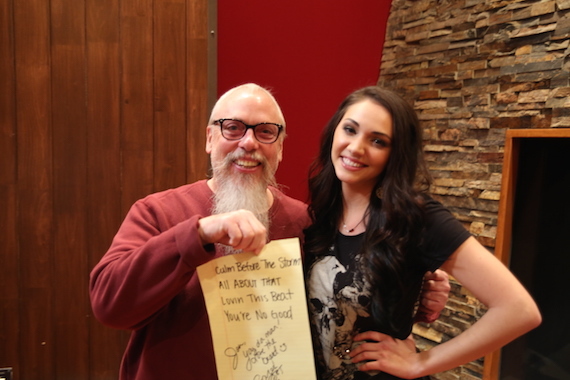 Average Joes Entertainment artist Sarah Ross performed recently during an intimate showcase at Black River Entertainment Sound Stage Studios in Nashville. Ross and SiriusXM’s John Marks are pictured holding the set list from the show.